The euro rallied sharply overnight, bouncing off key support around 1.2200 as the dollar sold off on concerns of the imposition of US tariffs on imports of steel and aluminium. The single currency also got a boost following a report from Reuters suggesting that the European Central Bank (ECB) could signal a delay in discussing further tapering of its Asset Purchase Programme at next week’s monetary policy meeting. Nevertheless, the euro’s gains could be capped due to a double-whammy of uncertainty as we head into the weekend. Italy is holding a General Election which looks to be wide open in terms of who could hold the reins of power. Meanwhile, Sunday should see the result of a crucial vote from Germany’s SPD party members to decide if they are prepared to go into coalition with Chancellor Merkel’s CDU. As far as the Italian election is concerned, investors are approaching the vote blindfolded. 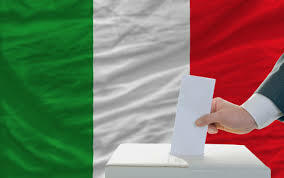 Under Italian law opinion polls are banned in the two weeks leading up to the ballot. However, according to the last polls taken, it looks as if the 5-Star Movement should get the biggest percentage of the vote closely followed by the ruling Democratic Party with Silvio Berlusconi’s Forza Italia coming up third. Historically, the growing popularity of 5-Star has been viewed as bad for the euro given the party’s left-wing Eurosceptic leanings. However, the party has rowed back from its anti-European stance and is no longer calling for a referendum on continued EU membership. At the same time, even if 5-Star becomes the biggest party it looks likely to be part of a hung parliament, with no one party holding an overall majority. Unfortunately, this suggests prolonged uncertainty and more political wrangling. This could prove unsettling for the euro on one hand. However, some will argue that the immediate pressure will be off the currency once we know the result. In some ways the German political outlook is more concerning. Europe’s powerhouse has been without a government since September’s general election. This was when the major parties from across the political spectrum were spurned in favour of more extreme groups, in particular the AfD. Chancellor Merkel has been struggling to form a coalition ever since (a task not helped by the dramatic slump in her personal popularity). Her attempts have proved to be a catalogue of failure so far. Her last hope comes with her old “Grand Coalition” partners the SPD – a party who experienced a drubbing at the election in September, mostly due to their original coalition with Chancellor Merkel. The latest polls suggest that 56% of SPD voters favour a fresh coalition with Merkel’s CDU. However, it is party members, not voters, who have an actual say on the matter. They may be less willing to engage given their previous experience. A failure to form a coalition will mean that Merkel will have lost her last chance of forming a government which means a fresh General Election. This would be a major upset for both Germany and Europe, and could be the trigger for a sell-off in the single currency. Let’s look at the technical picture, firstly in terms of the US Dollar. Earlier this week the Dollar Index (DXY) broke back above resistance at 90.00 in a countertrend rally which is suggesting to some traders that the worst may be over for the greenback. The dollar sell-off has been in progress since the beginning of 2017, excepting a modest corrective bounce between September and November. But a few closes above 90.00 (which is also where the 50-day moving average comes in) suggests that a retest of the September 2017 low of 90.80 is a distinct possibility which could be quickly followed by a rally to 92.00 – the low point hit in May 2016. On the downside, just two weeks ago there was another failed attempt to break and hold below support around the 88.00 level. It could be that we’ll get another lurch lower and the dollar resumes its decline. But the charts suggest a continuation of the rally for now or indecision at worst, with the possibility that we range-trade until some piece of news offers up a resolution. The daily chart of the EURUSD shows what looks like a well-defined double top. What’s also worth noting is that the pair is now trading around 1.2200 – a level which is significant as it acted as support in both January and February this year, just after the EURUSD smashed above resistance around 1.2050 at the beginning of the year. Looking at the symmetry of this double top suggests that it wouldn’t take much in the way of negative European news to see that 1.2050 level retested in short-order. It looks as if the dollar could be set to push higher. Certainly, we’ve recently seen it recover sharply along with bond yields as investors fret about an uptick in US inflationary pressures. It was, after all, stronger than expected Average Hourly Earnings which helped trigger the volatility melt-up at the beginning of last month. But we’ve also seen the dollar decline in the face of rising bond yields and we must be mindful of other forces weighing on the greenback. The Trump administration’s determination to “Make America Great Again” is helped by dollar weakness as it boosts the competitiveness of US goods, whether they be exports or equities. But there’s also a structural issue here. Trump has unleashed a tidal wave of fiscal stimulus in the form of tax cuts, regulatory reform and proposed infrastructure spending. All this stimulus adds to the budget deficit and national debt, and must be paid for through higher borrowing. Then we must consider yesterday’s news concerning the likely imposition of tariffs on steel and aluminium imports. So, there are still good reasons for the dollar to resume its downtrend, even if we see an upward correction first.